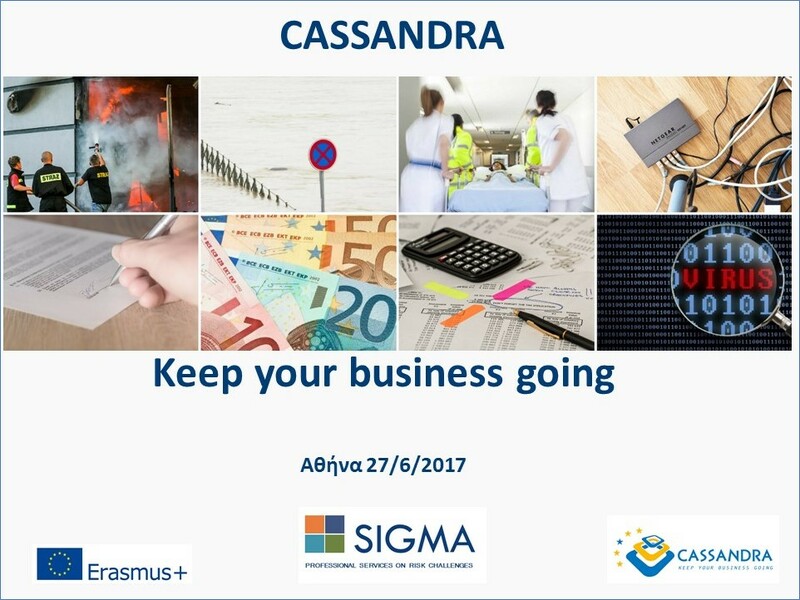 On Tuesday the 27th of June 2017 at TITANIA HOTEL Athens, SIGMA – as a key project participant – proudly presented the CASSANDRA Project Outputs to its guests and friends, as part of the multiplier events of the EU funded project. the Project’s Outputs (“Quick Check”, “Online Course” and the “Guide to Resilience”). 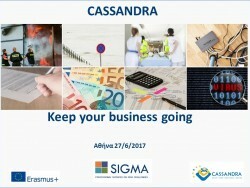 Response was great and attendants had the chance to actively participate in an open discussion together with SIGMA team, raising their key concerns of the SME Busi ness Services sector in relation to Resilience, Risk, Security and Continuity Management as well as identifying the benefits CASSANDRA methodology could provide to their business. 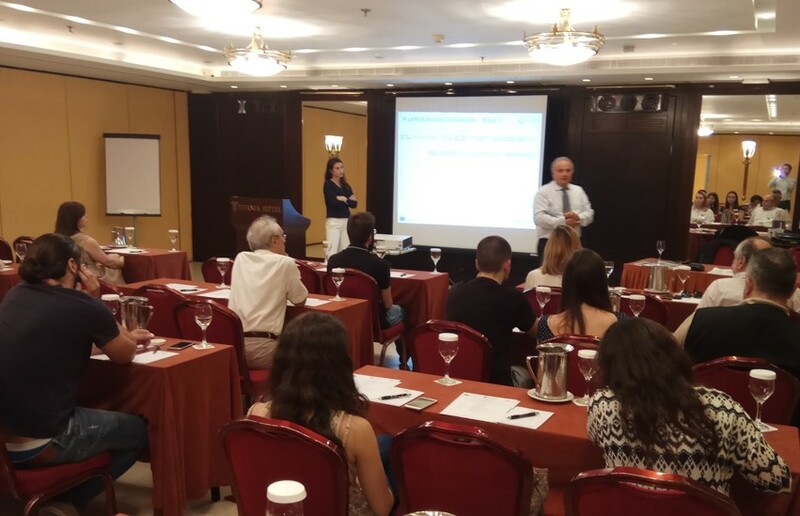 SIGMA provided the capability and participants had the chance during the event to access, use and test the project products and outcomes online at their current version status. The open approach of the event itself – that encouraged and supported the excange of ideas and concerns – as well as the networking opportunitites during the buffet time at the closure, were combined to form a really successful event.